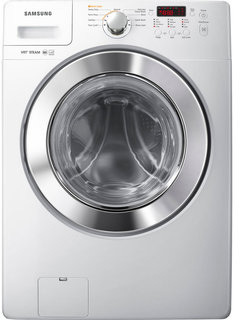 Samsung WF365BTBG Steam Wash 3.6 Cu. Ft.
Samsung is really one of the best companies right now. Their technical advancements are still unparalleled. Whether it be mobile devices, smart phones, or flat screens, Samsung is definitely one of the most trusted brands right now. Fortunately for us, Samsung is not sticking to just developing digital devices, but they are slowly conquering the world of home appliances as well. Here is the new Samsung WF365BTBG. If you are looking for pretty cheap washer with great performance read on because I think this one could be interesting for you. Capacity (cu.ft. ): 3.6 Cu. Ft.
Two choices of colors: gray and white. Very quiet thanks to the installed VRT (Vibration Reduction technology). It has a pretty good warranty as compared to those offered by other companies. 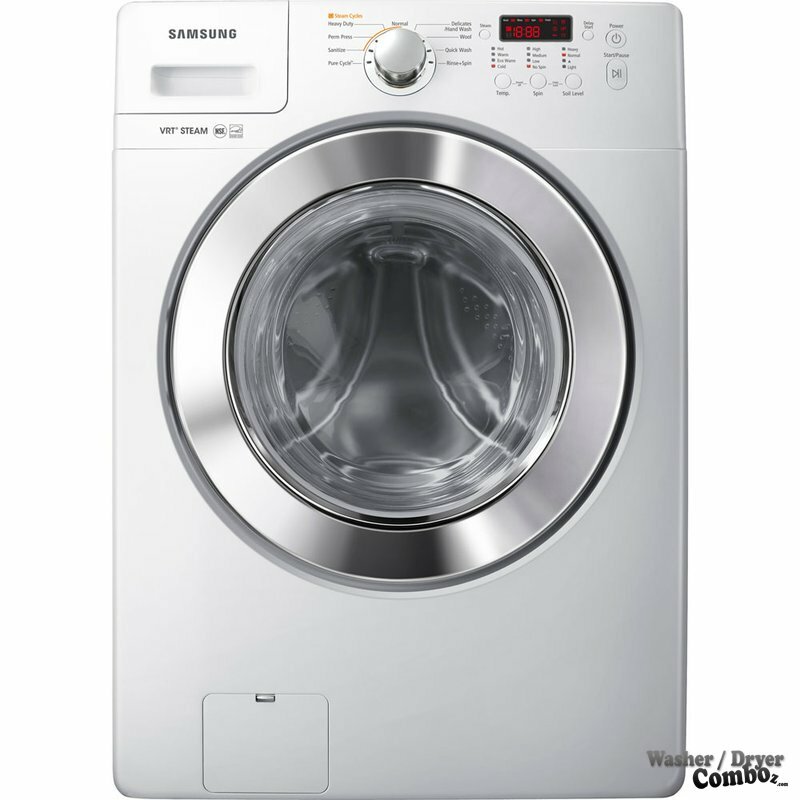 While many washers offer just a 1 year warranty for free parts and labor, with additional payment for an extended warranty, Samsung offers a warranty of up to 10 years for the motor. This washer is more affordable compared to other washers with almost the same features. Some people claim that the Samsung logo can get wiped out with a drop of detergent or bleach, so if you want to retain the logo, be careful in cleaning your machine, or in handling the detergents. If you are looking for a washer that has a lot of features, then this might not be suitable for you. Its features are very basic and its wash options are more-less simple. Could be hard to install. Problems with correct functioning if not installed properly. A lot of negative reviews that can be found about this washer across the internet just refer to the logo being easily wiped off. But other than that, this machine has quality performance – especially it’s very successful vibration reduction technology. 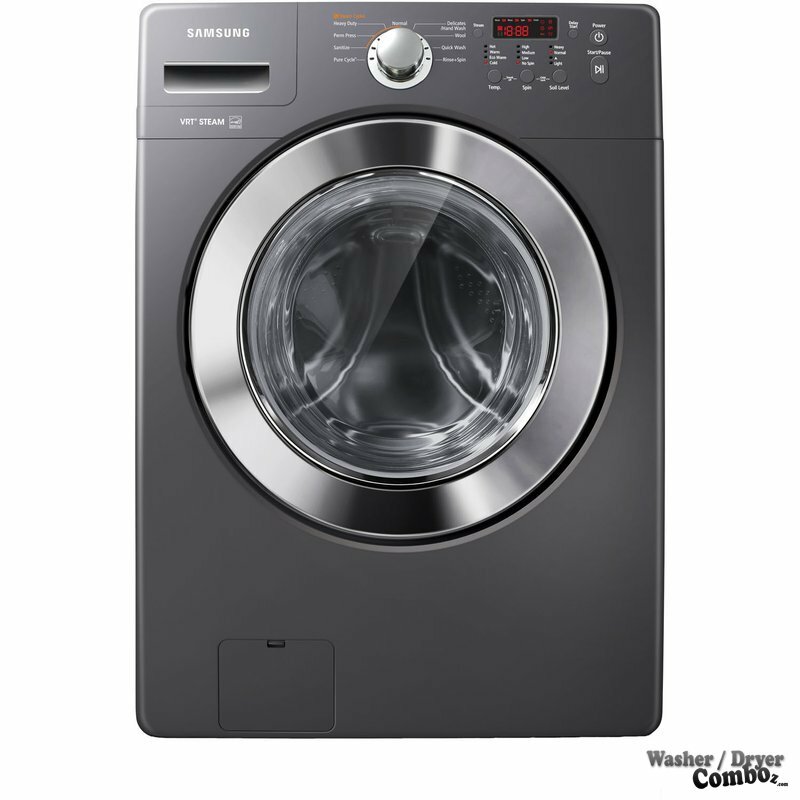 There are a lot of washers that claim to be quiet out there, but there is only a handful that tells the truth; Samsung included. Conclusion: If what you are looking for is a simple yet stylish washer coming from a trusted brand for a really good price, this might be your choice. Don’t get discouraged that it’s ranked #9. The thing is that I put here the top10 front-load washers I could find so it is still the ninth best one.